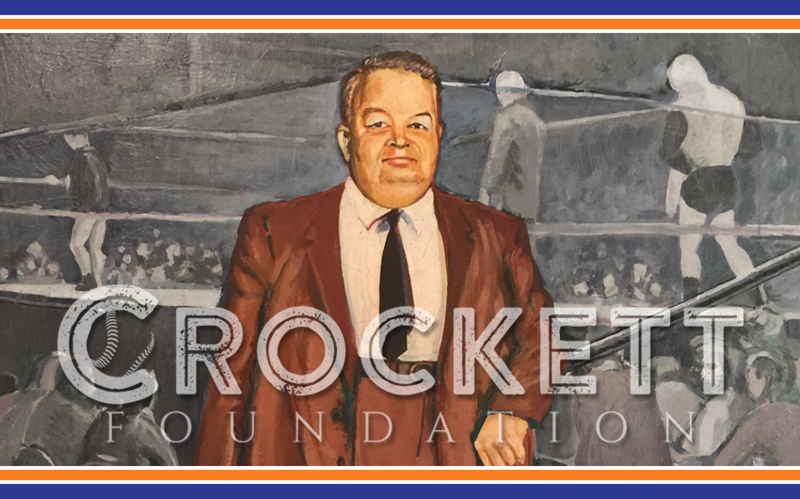 Jim Crockett, Sr. | Crockett Foundation - Tag In & Help Out! It didn’t take long for Big Jim to fine tune his ability to know how to give the people what they wanted. Whether it was a concert for James Brown, a boxing match with Joe Lewis or a wrestling match with Jim Londos, Jim could watch the gate and listen to the crowd and know if you had done his job that night. It also didn’t take long for him to make this a family business. Elizabeth did the accounting for the businesses out of their home and as the children got old enough, they went to work for their dad also. His children could be found putting up wrestling rings, they drove ring trucks, they sold tickets, you name it and his children could do it. This was always a family business. That family tradition continued as his children married and had children of their own. His grandchildren learned the ropes of the promotions businesses at their grandfather’s knee. They could be found at the Charlotte Coliseum sitting on Big Jim’s lap when they were small but as they aged they too we given odd jobs to do during Jim’s events. Jim didn’t just have his family close for work. He and Elizabeth now had their very large family around them at home also. Grandchildren sleep overs were a must if Grandaddy was in town and Mackmaw always made them the best shrimp dip on the planet. Sunday’s were family days. Dinner was at 5 and you better be in jail or have a hospital note if you could not make it. This close nit family ate and played games which sometimes included the wrestlers working for Big Jim at the time. It was not at all unusual to see Thunderbolt Patterson playing badminton in the backyard with the family or Elizabeth serving Johnny Weaver kimchee for the first time. Big Jim loved the roar of the crowds but he loved the roar of his family even more. The passion he had for his family and promotions also shown through in his charitable nature. He and Elizabeth gave many donations to the Empty Stocking Children’s Fund anonymously each year and all the money for the annual Christmas Day wrestling match went to charity. He knew the importance of having his family cut their Christmas Day short so that they could go raise money for those less fortunate. Upon Jim’s death in 1973, Elizabeth continued to work with charities both out front and behind the scenes. That is the same passion that is behind the Crockett Foundation in the form of the Board of Directors which include Jim’s daughter Frances and his oldest grandchild, Debbie. We think Big Jim would be proud.